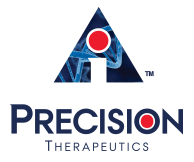 MINNEAPOLIS, Aug. 14, 2018 (GLOBE NEWSWIRE) — Precision Therapeutics Inc. (NASDAQ: AIPT) (“Precision” or “the Company”), a company focused on applying artificial intelligence to personalized medicine and drug discovery, announced today financial results for the three and six months ended June 30, 2018 and provided a business update. Signed a definitive merger agreement with Helomics Holding Corporation (“Helomics”). Upon completion of the merger, Precision will increase its equity stake in Helomics from 25% to 100%.— Helomics is predicted to generate approximately $3.2 million in revenues by the end of 2018. Launch of new website www.precisiontherapeutics.com to offer a more comprehensive understanding of the Company’s new value proposition and strategic direction in the precision oncology industry. 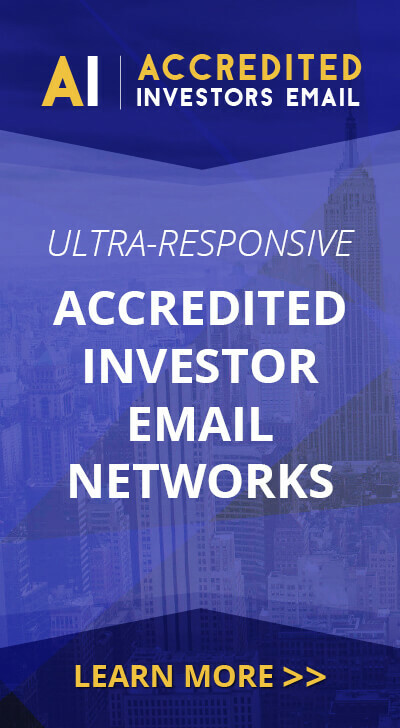 Dr. Schwartz continued, “Over the past several weeks, we have worked closely with Helomics as it transforms its business model into one that not only utilizes this one-of-a-kind offering but is also supported by more sustainable revenue streams. Rather than relying upon unreliable reimbursement policies for the specific tests it conducts, like a traditional diagnostics company does, Helomics has repositioned itself as a precision medicine business – using artificial intelligence and its comprehensive disease database to provide ‘roadmaps’ that help the oncologist guide therapy for the patient and improve outcomes. We believe this new precision medicine business model which provides for a more consistent billing approach will benefit payors and patients, while improving revenue consistency. Precision Therapeutics’ medicine business is committed to improving the effectiveness of cancer therapy using the power of artificial intelligence (AI) applied to rich data diseases databases. This business has launched with Precision Therapeutics’ investment in Helomics Corporation, a precision medicine company and integrated clinical contract research organization whose mission is to improve patient care by partnering with pharmaceutical, diagnostic, and academic organizations to bring innovative clinical products and technologies to the marketplace. In addition to its proprietary precision diagnostics for oncology, Helomics offers boutique CRO services that leverage their patient-derived tumor models, coupled to a wide range of multi-omics assays (genomics, proteomics and biochemical), and a proprietary bioinformatics platform (D-CHIP) to provide a tailored solution to our client’s specific needs. Helomics is currently 25% owned by Precision Therapeutics. Helomics® is headquartered in Pittsburgh, Pennsylvania where the company maintains state-of-the-art, CLIA-certified, clinical and research laboratories. For more information, please visit www.Helomics.com. Certain of the matters discussed in this announcement contain forward-looking statements that involve material risks to and uncertainties in the Company’s business that may cause actual results to differ materially from those anticipated by the statements made herein. Such risks and uncertainties include (1) risks related to the proposed merger with Helomics, including the fact that we may not complete the merger; we do not have complete information about Helomics; the combined company will not be able to continue operating without additional financing; possible failure to realize anticipated benefits of the merger; costs associated with the merger may be higher than expected; the merger may result in disruption of the Company’s and Helomics’ existing businesses, distraction of management and diversion of resources; delay in completion of the merger may significantly reduce the expected benefits; and the market price of the Company’s common stock may decline as a result of the merger; (2) risks related to our partnerships with other companies, including the need to negotiate the definitive agreements; possible failure to realize anticipated benefits of these partnerships; and costs of providing funding to our partner companies, which may never be repaid or provide anticipated returns; and (3) other risks and uncertainties relating to the Company that include, among other things, current negative operating cash flows and a need for additional funding to finance our operating plan; the terms of any further financing, which may be highly dilutive and may include onerous terms; unexpected costs and operating deficits, and lower than expected sales and revenues; sales cycles that can be longer than expected, resulting in delays in projected sales or failure to make such sales; uncertain willingness and ability of customers to adopt new technologies and other factors that may affect further market acceptance, if our product is not accepted by our potential customers, it is unlikely that we will ever become profitable; adverse economic conditions; adverse results of any legal proceedings; the volatility of our operating results and financial condition; inability to attract or retain qualified senior management personnel, including sales and marketing personnel; our ability to establish and maintain the proprietary nature of our technology through the patent process, as well as our ability to possibly license from others patents and patent applications necessary to develop products; the Company’s ability to implement its long range business plan for various applications of its technology; the Company’s ability to enter into agreements with any necessary marketing and/or distribution partners and with any strategic or joint venture partners; the impact of competition, the obtaining and maintenance of any necessary regulatory clearances applicable to applications of the Company’s technology; and management of growth and other risks and uncertainties that may be detailed from time to time in the Company’s reports filed with the Securities and Exchange Commission, which are available for review at www.sec.gov. This is not a solicitation to buy or sell securities and does not purport to be an analysis of the Company’s financial position. See the Company’s most recent Annual Report on Form 10-K, and subsequent reports and other filings at www.sec.gov.